West Windsor, N.J. – College students and community members with a yearning for travel can combine the thrill of going to new places with an academically enriched itinerary. Faculty at Mercer County Community College (MCCC) will lead six Study Tours to countries around the globe in Spring, 2015. Destinations include Cuba, Italy, Belize, China, Poland and Paris. Information sessions for the tours will be held on Tuesdays, Sept. 23, Oct. 28, Nov. 25 and Dec. 9, 12 to 1 p.m., in the Communications Building (CM108) on MCCC’s West Windsor campus, 1200 Old Trenton Road. According to MCCC Director of Global Education Andrea Lynch, each trip is preceded by a discipline-specific course with faculty members teaching course content that prepares students for what they will see and experience abroad. Lynch notes that the Study Tour courses conclude with post-trip wrap-up sessions. “Everyone who has gone on previous trips has come back with new perspectives. The most common comment we hear is that ’this experience shrunk the globe for me’,” she said. 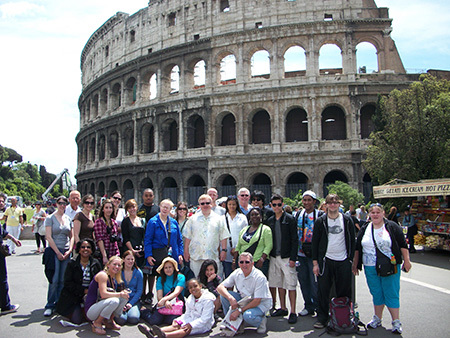 The MCCC Study Tours program returns to Italy in Spring 2015. Rome was the program's first destintation in 2009. 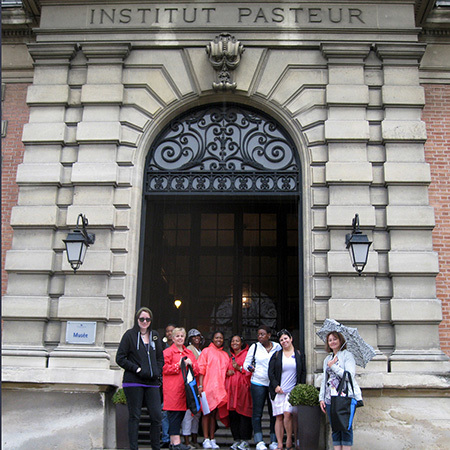 A student group studying biology went to Paris in 2011. The 2015 Study Tour will emphasize an immersion in the French language. For more information, including costs and registration deadlines, click here, email studyabroad@mccc.edu or call 609-570-3660.